To build a structure of any dimension successfully, choosing the right crane hire company is the key. While searching for the right agency offering crane hire in Perth can be a difficult task, once you find the suitable crane hiring agency, nothing can stop you from building your dream structure! It is important to remember that the right crane hire agency forms the strength and backbone of your constructional project. Besides, it also ensures safety while operating the various crane models. Your anxiety and stress are reduced to some extent when you operate a crane from a reputed crane hiring company, on the site besides deriving maximum satisfaction. In this respect, ABC Crane Hire is considered to be one of the leading crane hiring agencies offering services in Perth and other nearby areas. 1. 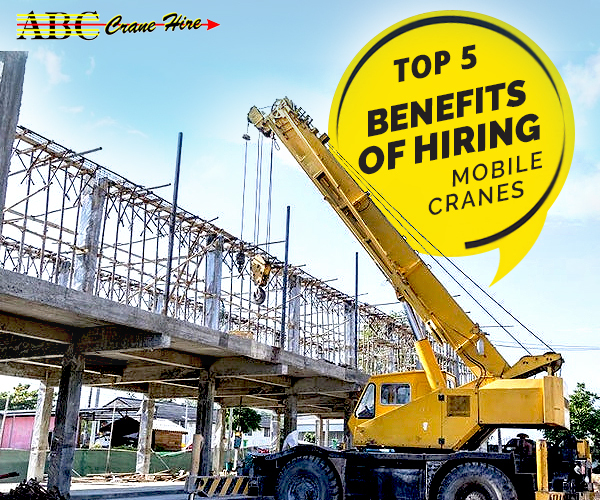 Experience- While selecting the right crane hiring company for your project, it is always better to go for an experienced crane hiring company. More the experience, better is the service of that company! A crane hire company having more than 10 years of experience will have more experience in handling all kinds of projects, starting from erecting activities to demolishing a building. Established in 1999, ABC Crane Hire undoubtedly has the required experience. 2. Safety- This is considered to be the topmost priority for any reputed crane hiring company. Maintaining the safety standards and rules is important to ensure the safety of the workers as well as the surrounding. It also acts as necessary prevention against on-site catastrophes. ABC Crane Hire not only adheres to the safety rules but also maintains the cranes and performs checks before operating any crane. 3. Cranes- Your trusted crane hire company must have all the latest fleet of crane models and also cranes that are suitable for various sites. For instance, a crane that is used in rough terrain is obviously not fit for use in wetlands. Needless to say, ABC Crane Hire possesses a wide fleet of cranes, from mobile cranes to rough terrains, from tower cranes to all terrain cranes and many more. Moreover, you can also find cranes that are suitable for use in wetlands, restricted areas and other locations. 4. Cost- A reputed crane company must offer crane services that are affordable; the cost should be reason enough to grab the attention of any project manager, construction supervisor and so on. If a crane company charges an exorbitant price for a crane hire that doesn’t worth for, do not waste your time but walk away instead. 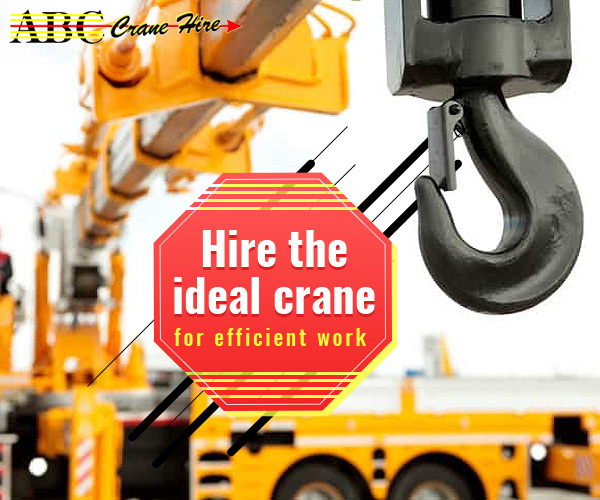 In this respect, ABC Crane Hire offers crane hiring services at reasonable rates for which you will never regret. 5. Qualified professionals- Before choosing any crane company, do not forget to look at the qualifications of the professionals. The workers must have the necessary qualifications and training to handle different crane operations. They should know the right way to use a particular crane model and also must be aware of how to manage the situation if any problem turns up while operating the crane. ABC Crane Hire employs only skilled and qualified workforce who trained in using various crane types in different locations. Conclusion- Selecting the right crane company will automatically reflect on the outcome of your project. Not only will you complete your work faster but also achieve gratifying results. 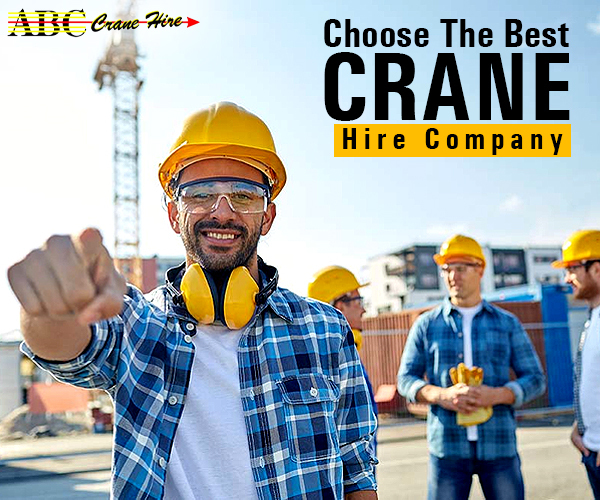 While the majority of the crane hiring companies may lack one or the other quality, ABC Crane Hire is a complete package at an affordable rate, the best that you can get! 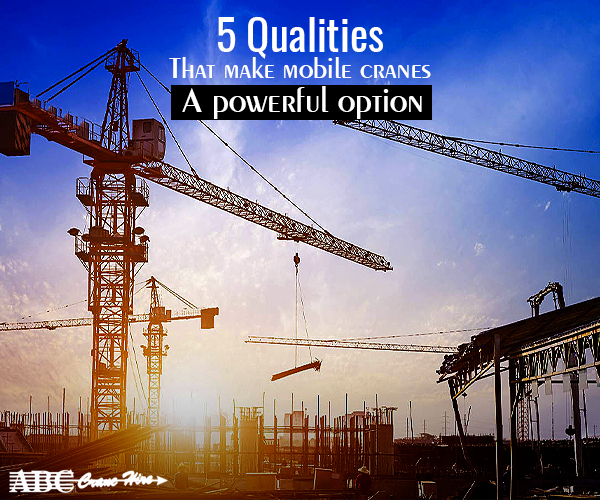 Your Ideal Crane - What Crane Should You Hire?